omg. i love the doll and strawberries. SO CUTE. OMG MAKE MORE MORE MORE!! Edited by violin4lfe, 06 September 2009 - 05:41 PM. I've also made such a bracelet. Cool. But this completely killed me! Such a work! ^^ my basket full of flowers i made. 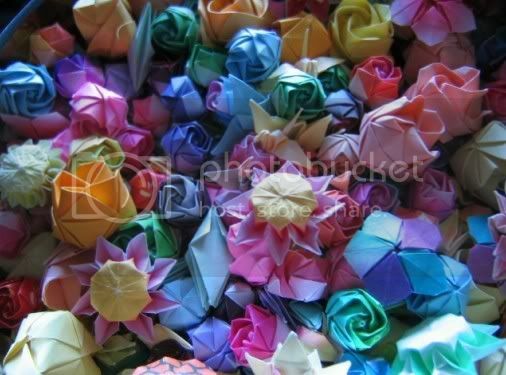 i made alot of roses and other flowers too, and mini cranes. ^^ Thanks, I'm can't believe I have so many too. I just keep folding them in my spare time, cuz i don't want to forget how to fold them. The only way to remember is to practice making them. 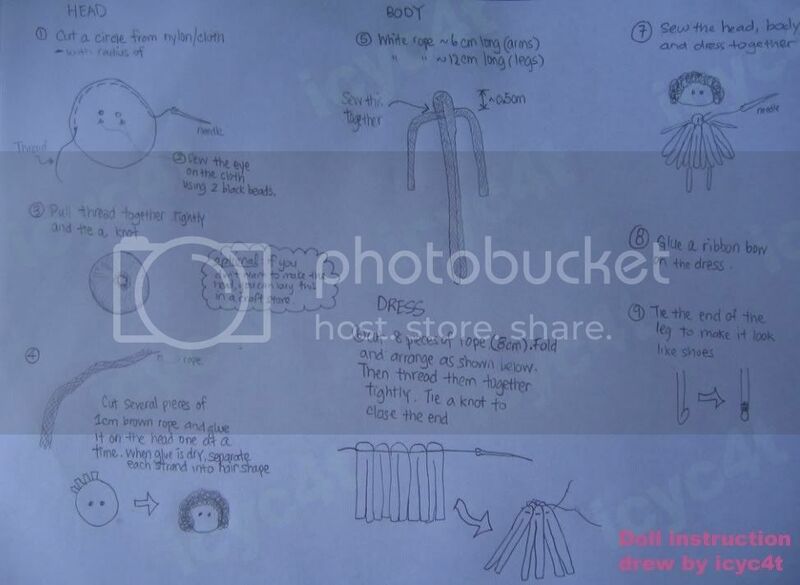 At that time, I didn't have any paper instructions cuz my friend taught me. 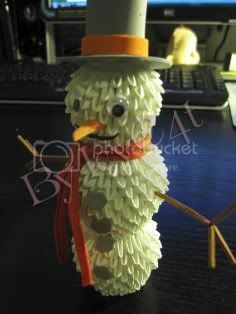 Here's my new creation, a snowman....good for the coming Winter/Christmas. ^^ Thanks. Glad you found my tutorials helpful. Looking forward to see your handicrafts. Oh I like this one. Could I get the instruction from you? I love handcraft stuffs long time ago but never get to do it here. I use to do them when I was back home but hardly now. Would love to start that again. wow u are so talented... i love all your craft. i love to do craft. i want to know how u made that flower in the vase. 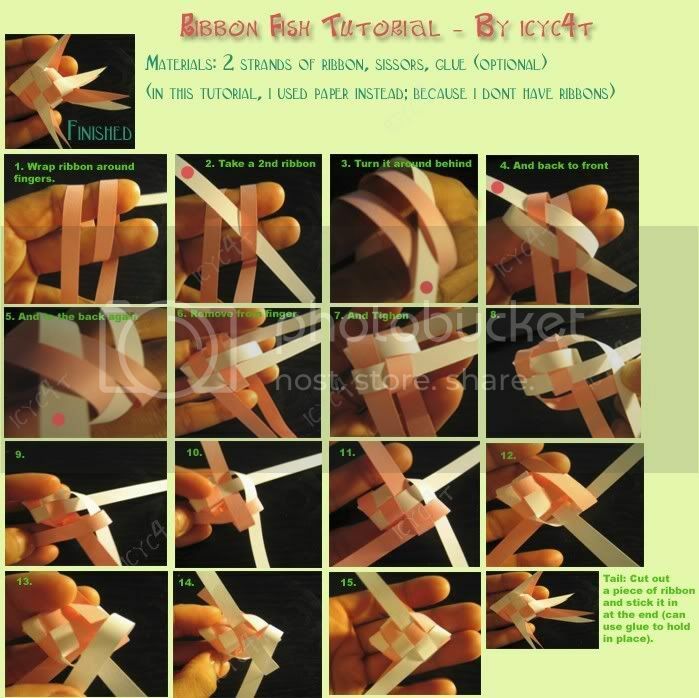 i also was wondering if u know how to do the ribbon heart. i asked my friend to buy me one from vietnam cus one of my friend had it but they cant find it. can u teach me i really want to know how to do it. thanks so much for your time. Thanks to the website shared by medlynchen (http://asianfanatics...-rose-diagrams/) , I was able to learn different origami roses beside the Kawasaki roses. The instructions were very detailed, but it was quite complicated at some steps...however with many attempts and tries, I was successful. 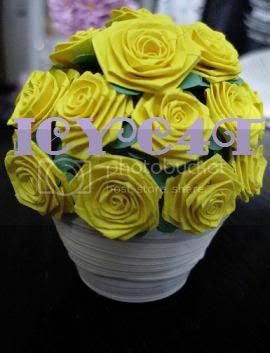 Below is a pictures of the roses I made, and I wanted to shared. It sure makes good valentine gifts. So pretty. 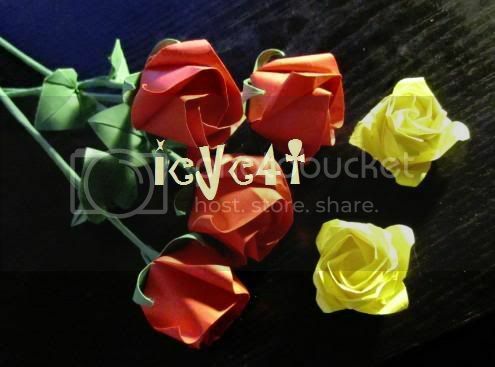 I was browsing through the webside I saw some interesting things and ideas, and I also came across a section that the website own was selling it, wow can't believe that a bundle of roses is $80. I never imagine it would cost that much....but then when I tried to make it myself. It was complicated and time consuming. I'm sure it's worth it. If you guys want to try make it. tutorials seems great. hopefully i can try some out when i`m free. 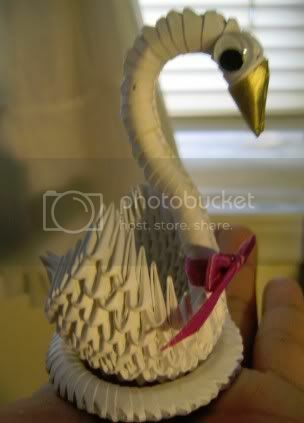 My latest 3D origami. Love it, find it very cute. Took me a few days to make with help. Just want to share with you guys. It was very hard to find black paper, does anyone know where to get them? I had to colour the paper in black marker, lucky there's not much black pieces. 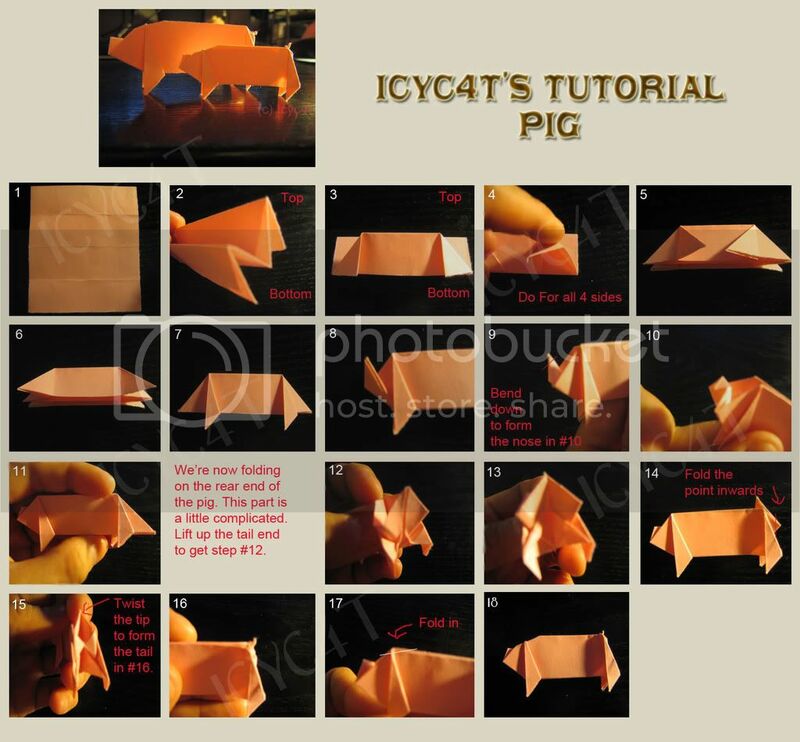 Edited by ~IcyC4t~, 06 January 2011 - 04:58 AM. Wow! I like all of your creations.They're very cute. I'll try some of the tuts when I'm free. Ok, there's my Winnie the Pooh set. Took me a good month or two to finish them all. It sure was a hard task. WOW did you make those up? and how'd you learn? 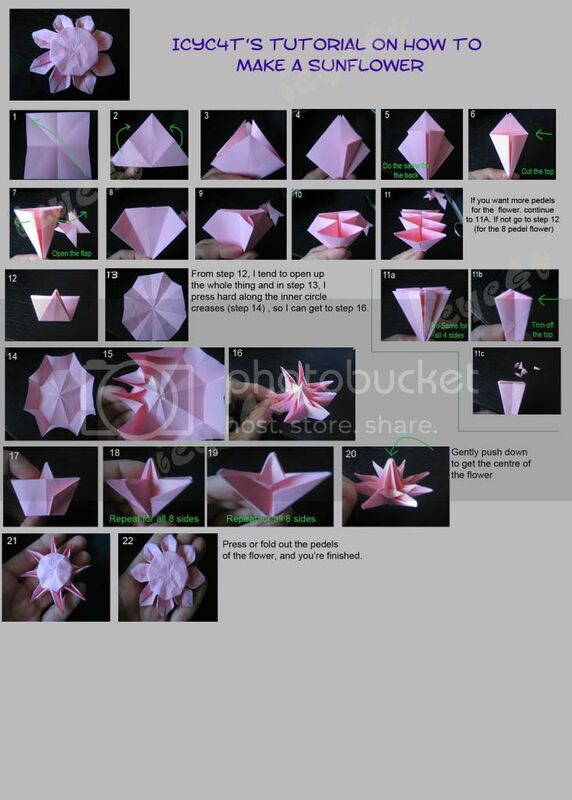 didnt know you did 3d origami^^ I've only seen a few small ones from you but didnt think you made lots/big ones. awesome job!! 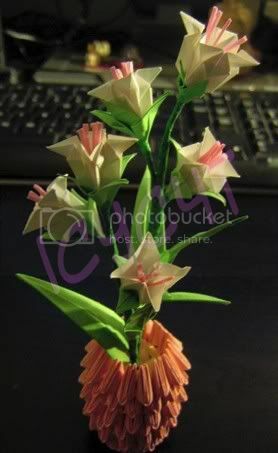 what other 3d origami stuff have you made? ^^ Yeah, i did do all of them. It took some planning, researching (online) and folding time. They are mostly a few pieces glued onto each other. These are the only 3D ones i made so far, plus the ones i've shown before. on some of your videos. So far, it doesn't look as nice as yours...lol. Kinda started on a new craft "quilling"....a pretty neat type of crafting. My new artwork, a mini rose flower pot. Let me know if there's any new ideas or improvements. 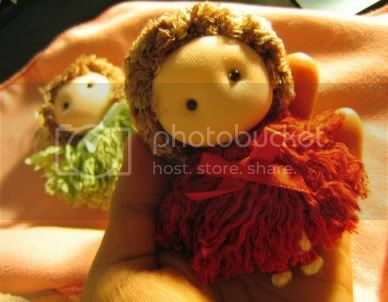 I thought I might create a page myself to share my handicrafts. I used to enjoy making things especially when I have nothing to do, and they range from origami, to ribbonwork, to beadings. 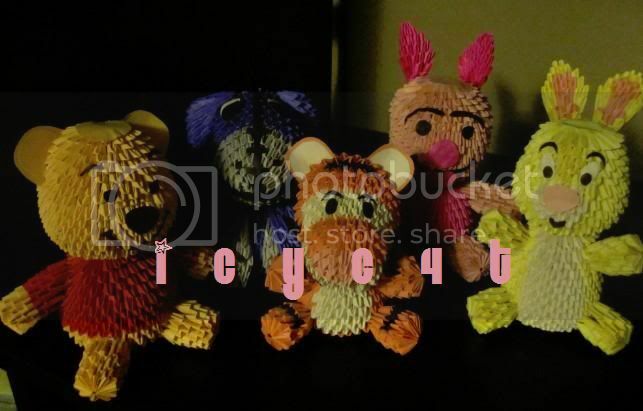 I still do enjoy making them but I don't have much time to continue my hobbie as much as I would like to. I still do them occassionally. The sad part is most of the things i make, I ended up throwing or giving them to my friends, so I don't have much to show now. Here are some of my work, you can comment on them and give me some feedback. I made this doll a while back sticking & sewing pieces of colour strings together. 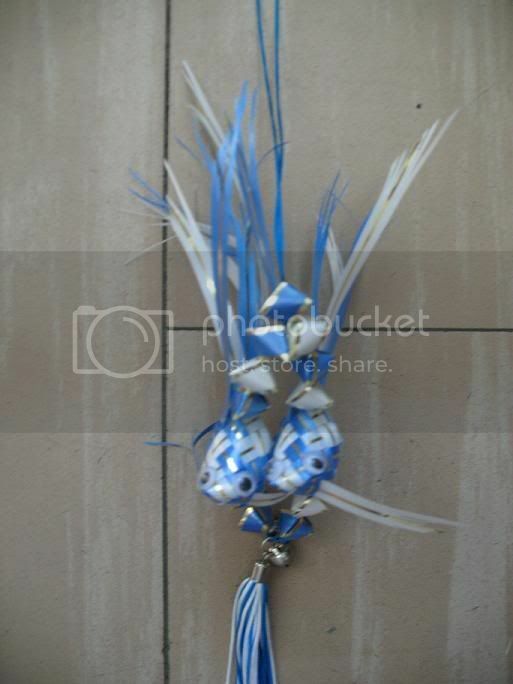 I brought this package from a chinese store, where it shows you how to make these "rope dolls" so you can hang them on your window. I think it looks really good. 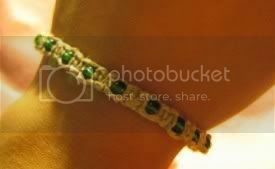 I learned how to make this bracelet while I was in camp. I made so many I gave them away one after the other but kept this one. I show this ring on someone's page. I love making bead jewelries because they are much cheaper and you can design your own. 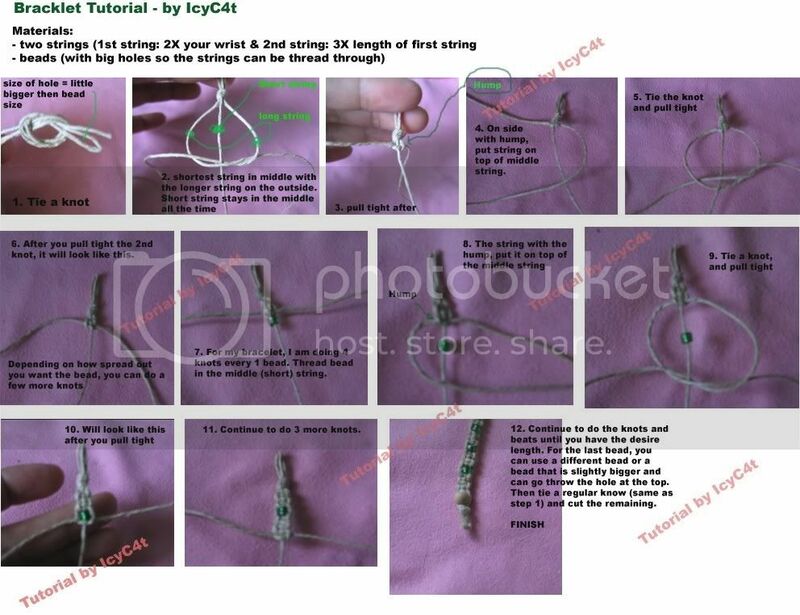 Bead rings are easy to make and so cute when you wear them with casual sandels or flip flops. 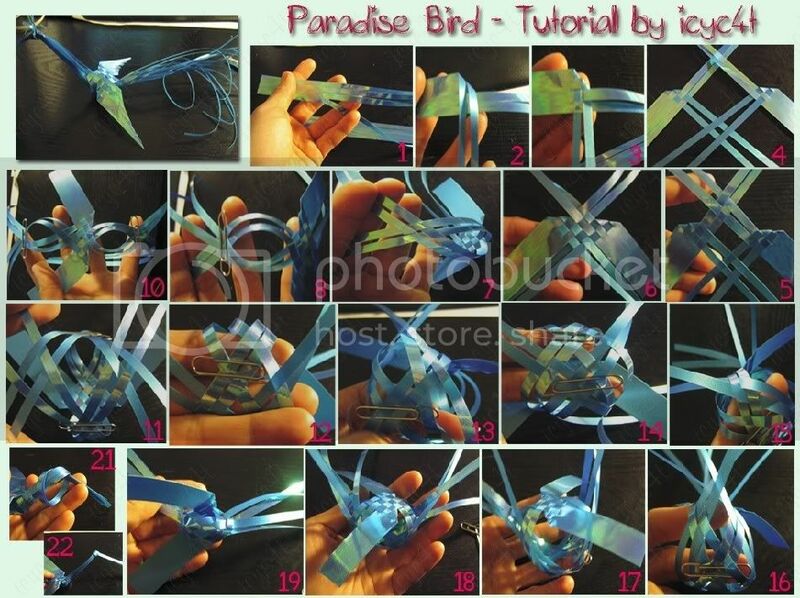 I made this tutorial due to one of the members of AF was requesting in one of the Crafts Topics. Tutorials will be post here in the first Post, as I have time to make them. For my other craft works, I'll post them below. Adding another craft I just finished making. I think I like this little one a little better than the one I made before (above). It looks more cutie. can you put up the instructions for this? 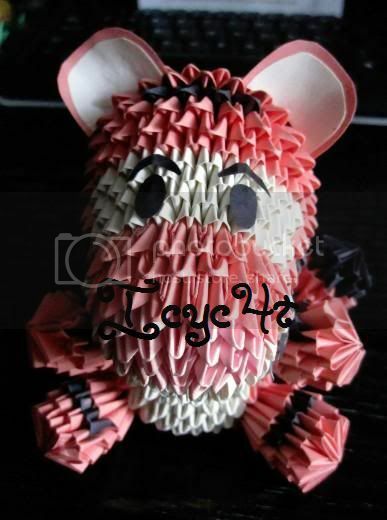 its so cute and i really want to know how to make it. anyone know how i can get intouch w/ this person?